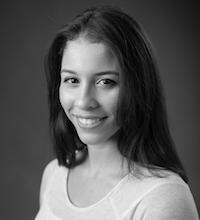 Maleni, an alumnus of Dancewave Company I, graduated from SUNY The College at Brockport with a Bachelors of Arts in Dance. She was awarded the Susan S. Collier Dance Award during her time at the College at Brockport. Being involved with Dancewave for so many years, Maleni is extremely interested in learning and being a part of the Dancewave’s team.